Finding a bargain can be a challenge if you're in the market for a new spot to live on a budget. So what does the low-end rent on a rental in Afton Oaks / River Oaks Area look like these days--and what might you get for your money? According to Walk Score, the neighborhood is somewhat walkable, isn't particularly bikeable and offers many nearby public transportation options. It also features median rents for a one bedroom that hover around $1,312, compared to a $1,254 one-bedroom median for Houston as a whole. 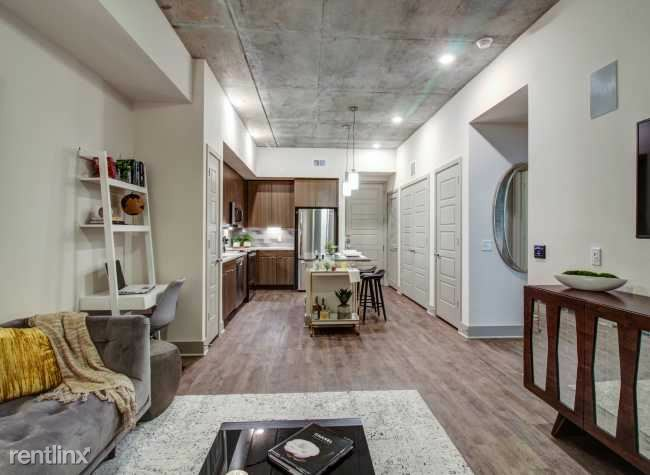 A look at local listings for studios and one-bedroom apartments in Afton Oaks / River Oaks Area, via rental site Zumper, yields a look at what price-conscious apartment seekers can expect to find in this Houston neighborhood. Listed at $800/month, this 450-square-foot studio condo, located at 4807 Merwin St., #4, is 31.4 percent less than the $1,166/month median rent for a studio in Afton Oaks / River Oaks Area. Building amenities include garage parking. In the unit, you're promised air conditioning, carpeting, a ceiling fan and wooden cabinetry. Pet owners, inquire elsewhere: this spot doesn't allow cats or dogs. There's no leasing fee required for this rental. This one-bedroom, zero-bathroom apartment, situated at 4510 Briar Hollow Place, #2342, is listed for $913/month. The building offers amenities like a swimming pool, a fitness center and outdoor space. In the apartment, you'll find carpeting, air conditioning and wooden cabinetry. Pets are not permitted. There's no leasing fee required for this rental. Then there's this 720-square-foot apartment with one bedroom and one bathroom at 2400 Westheimer Road, listed at $960/month. In the unit, look for a mix of hardwood floors and carpeting, a dishwasher, a walk-in closet, wooden cabinetry, a ceiling fan and recessed lighting. The building offers a swimming pool and assigned parking. Good news for animal lovers: both dogs and cats are allowed here. Future tenants needn't worry about a leasing fee. And here's a one-bedroom, one-bathroom apartment at 2121 Mid Lane, #1669, which, with 559 square feet, is going for $1,052/month. Building amenities include assigned garage parking and a swimming pool. In the unit, expect air conditioning, a balcony, in-unit laundry, a dishwasher, hardwood flooring, high ceilings, a breakfast bar, stainless steel appliances and wooden cabinetry. Pet owners, take heed: cats and dogs are allowed. There's no leasing fee required for this rental. Listed at $1,240/month, this one-bedroom, one-bathroom apartment is located at 2555 Kirby Drive. Amenities offered in the building include assigned parking, a swimming pool, a fitness center, outdoor space and an elevator. In the unit, you're promised air conditioning, carpeted flooring, balcony, in-unit laundry and a dishwasher. If you've got a pet, you'll be happy to learn that cats and dogs are welcome. The rental doesn't require a leasing fee.